…THEY HAVE TO CONSIDER THE COST ASSOCIATED WITH A NEW OFFICE! 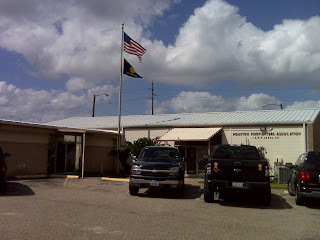 Since I arrived in Houston as a reporter I’ve been making stops at the Houston Firefighters’ Union office on Freemont. From day one I’ve noticed just how old the building was. It’s quite different from the fancy new digs the Houston Police Officers’ Union has in downtown Houston. Here’s the question I put to union President Jeff Caynon: Ain’t it time for a new building? It’s a question Jeff is quite familiar with. He says there is a building committee that’s been looking at options. But as the top guy at local 341 Caynon has a fiduciary responsibility to its members. 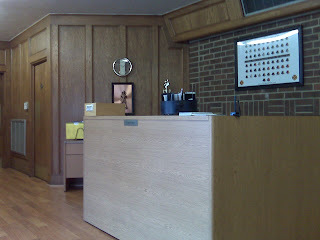 He says while he’d like to say goodbye to the old wood paneled building built in 1954, anything they decide to do will have to come out of the pockets of its members. That’s why Caynon and his staff are approaching this venture with caution and eyes on their purse strings. But there is no solid plans just yet to replace that old structure in the shadow of downtown Houston. But bottom line, it’s not how the building looks, it’s the job the people inside do for the rank and file. By the way, they do have the cop’s union office beat because they have lots of free candy. Even Tootsie Rolls!